Maryann Modesti, Esquire, is a member of the Bars of Pennsylvania, the Eastern District of Pennsylvania and the Supreme Court of the United States. Maryann is currently Vice President of the Board of Christian Legal Clinics of Philadelphia (CLCP) and has been a member and officer of many non-profit boards in the past, including Center for Urban Theological Studies, local crisis pregnancy and daycare centers, and the former advisory board of Calvary Church of Souderton Counseling Center.Maryann has participated in leadership projects in East Africa, most recently in South Sudan working with South Sudanese and American lawyers in a conference on Biblical Justice. Maryann has been a child advocate both in Philadelphia and in Montgomery Counties, having assisted in the beginning stages of MCAP, the Montgomery County Child Advocacy program. She also participated in the development of Custody Mediation Rules in Montgomery County. 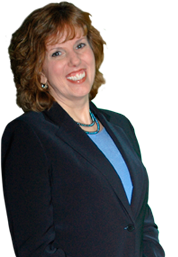 Maryann has presented programs to Christian lawyers, counselors and pastors relating to family law issues as these issues interact with other disciplines, has spoken at Women’s Conferences and taught in Sunday Schools and other women’s groups. A long-standing member of Tenth Presbyterian Church in Philadelphia, Maryann is a joyful Mother and Grandmother.